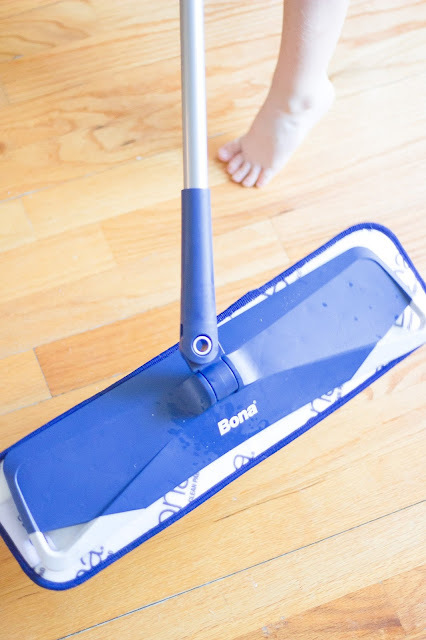 The Bona PowerPlus has an oxygenated formula that removes heavy build up and deep cleans without all the extra scrubbing. 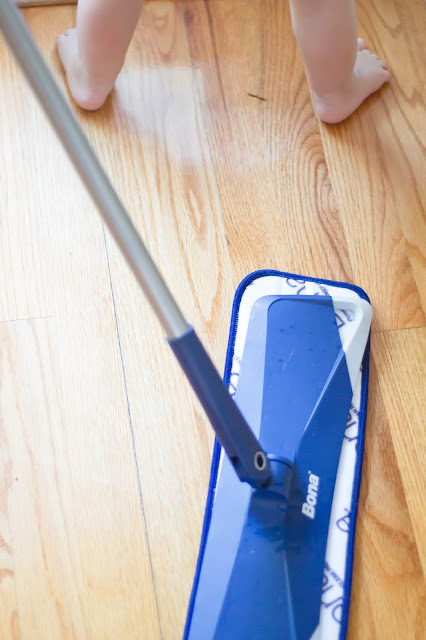 I love that the solution comes in a simple spray bottle that you spray directly onto the floors, and then use the Microfiber Deep Clean Pad to wipe it all up. 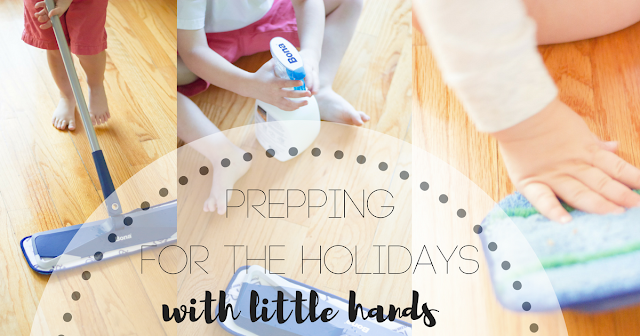 My little man loves getting involved in household chores and who am I to stop him?! It's great to start them at a young age so when they are older they know what is expected and can hopefully conquer those tasks on their own. Bona's PowerPlus simple spray bottle allows Bennett to work with me, while I am scrubbing he can spray. It's a simple task but he loves it and almost thinks of it as a game. 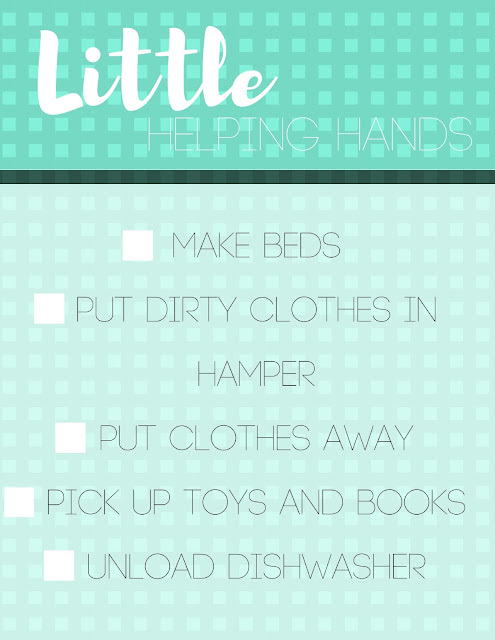 Below are other tasks that I have him work on while I am working on cleaning stuff that he isn't able to do just yet. 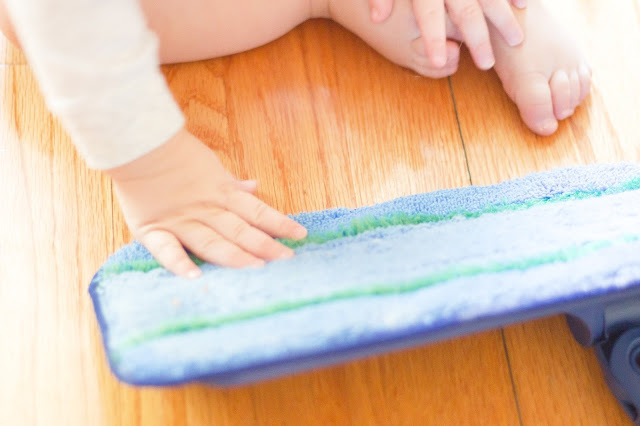 You might say your little one doesn't like cleaning, give it time they will love it. Make it a game-- set a timer and see how fast they can pick up their stuffed animals. 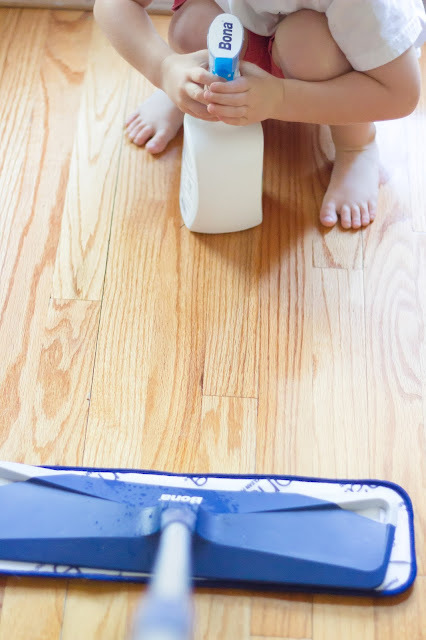 You can also have them find all the spots on the floor and spray them. My little loves to unload the dishwasher, because when he finishes he gets to wash the dishes (which essentially is play in the sink). 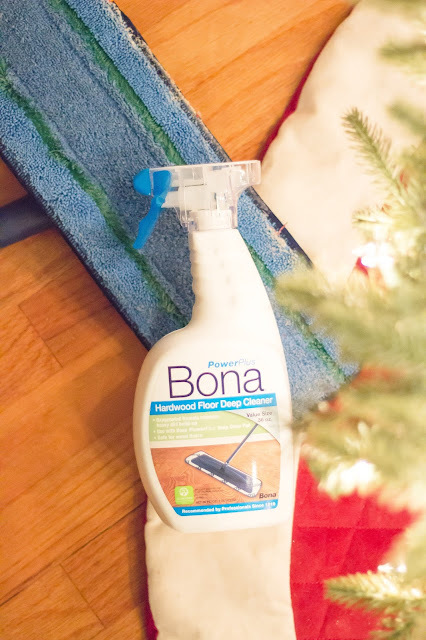 This year get your little involved in cleaning, and use Bona PowerPlus to make scrubbing your floors a breeze.